Not many people can claim “watermelon grower” on their business card. But then, not many people are like Jerry Dillon. 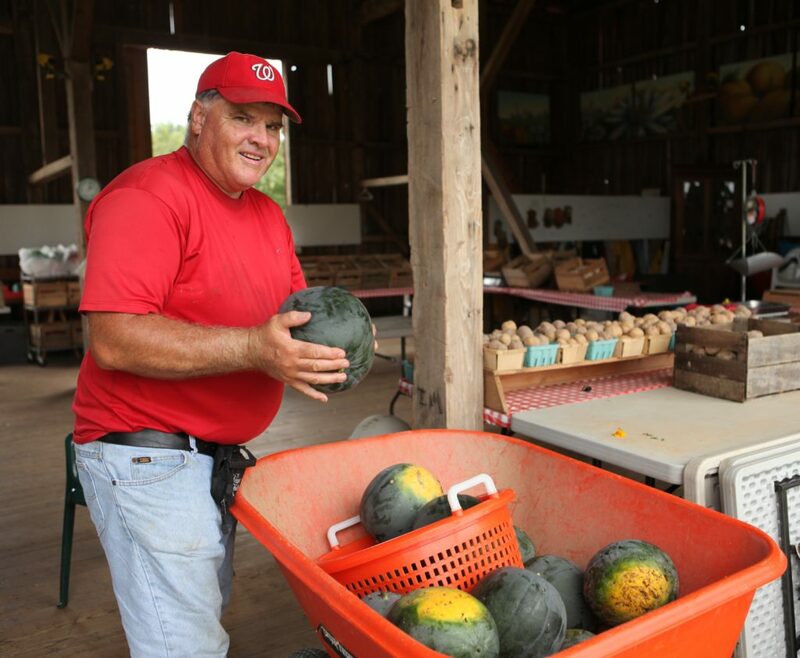 Having worked at Red Wiggler for 23 years, Jerry has seen a lot of changes: a shift in cultivating a small variety of fruits to soley veggies, to the farm’s move from Wildcat Springs Farm in Clarksburg to its current location at Ovid Hazen Wells Park in 2005. One thing has remained the same: Jerry’s love for farming. Jerry is a man of few words, but each word he shares is thoughtful and methodical, just like his watering. Every morning after signing in, Jerry heads to the watering cans to water the patch that is home to hot peppers, onions, and sunflowers. His skills go beyond watering, however; Jerry is also talented at weed-whacking, mowing, and mulching. Also this year, he’s planted rye, sunflowers, and buckwheat. Jerry likes working at Red Wiggler and likes eating what he brings home as well (pasta with grilled veggies is one of his favorites). He explains that he gets very dirty at work. When he helps out with school field trips, the students get dirty, too. During these field trips, he teaches school kids about planting. In the winter, Jerry helps field trip visitors with planting microgreens. At Red Wiggler, Jerry enjoys working with “the whole crew.” He’s used to being part of a crew — he grew up in a big family, and he likes talking about them. They’re extremely supportive of the farm and Jerry’s work there. In addition to his farming abilities, Jerry also has a gift for remembering people and making them feel welcome at Red Wiggler. “He really is a leader on the farm and likes to greet groups that come back year after year. They remember Jerry, and Jerry remembers them. 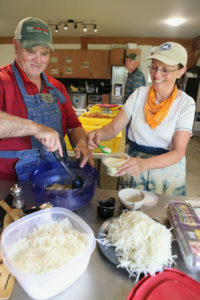 Jerry has been in this community for a long time, and he’s definitely a connector for people who visit the farm,” says former Farm Manager Andrea Barnhart.